Wish you all a very happy Krishna Jayanthi / Janmashtami :) Hope everybody is celebrating this festival with lots of pomp and grandeur at your home. It’s the celebration of the birth of Lord Sri Krishna. This day occurs on Ashtami or 8th moon phase that coincides with the Rohini star in the Avani month. The pooja is done after 6 pm. During this day, we draw big kolam in front of our house and draw small footsteps throughout the house till the pooja room. This is to welcome Lord Krishna into the house. Then we decorate the idol of Lord Krishna with flowers and place it in swing. We lit the lamp and spread many sumptuous food dishes, in particular seedai, murukku, thattai, kheer, fruits, milk, curd, ghee, butter, aval and sweets are prepared for the Neivedyam. I had posted the festival special recipes earlier. Refer to the recipes here. 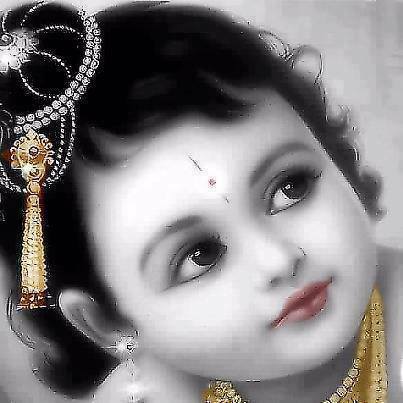 We once again wish all our readers a very happy Krishna Jayanthi..! 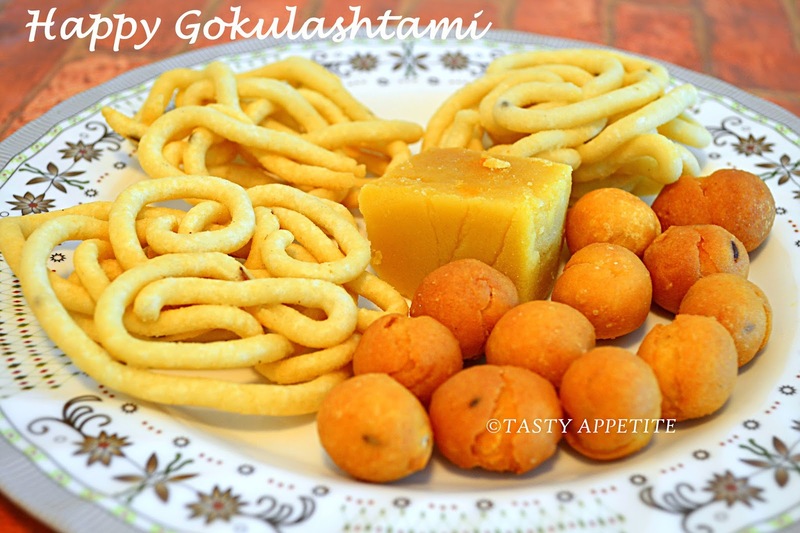 Thanks and wish you too on this wonderful occasion of Gokulasthami. Loved to see the appetizing goodies on your plate. 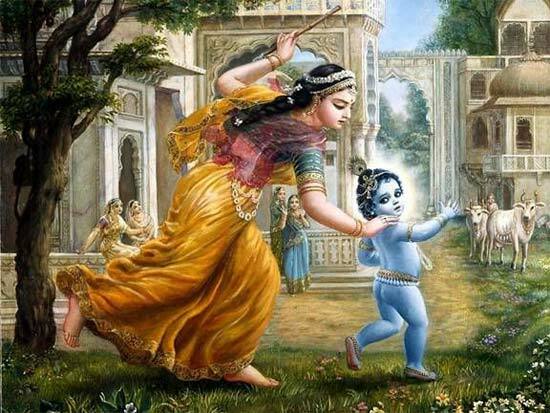 the baby krishna looks cute and adorable and lovely prasadams.